SANAA,SANAA,SANAA is it real? Or a conscious dream…. On a regular base I surf my favorites Internet architecture and design sites, to be informed…. Yesterday I ran into a common example of Conscious Inspiration…. or maybe not …. 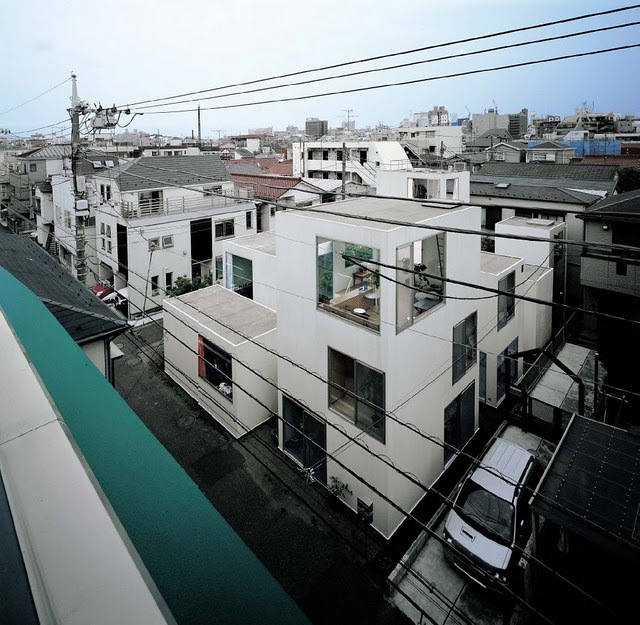 I found this example on DEZEEN, an online magazine on architecture and design…. 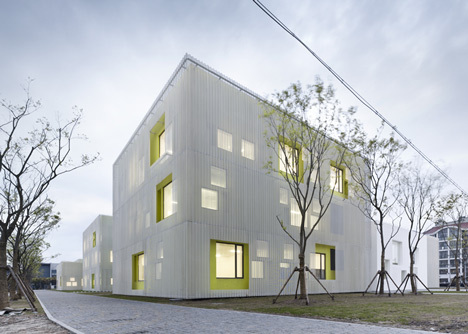 In a previous post of mine I raised the thought that architects are getting inspired from their own designs ….they multiply their architecture consciously…. I also claimed that your design process can be your inspiration source…. 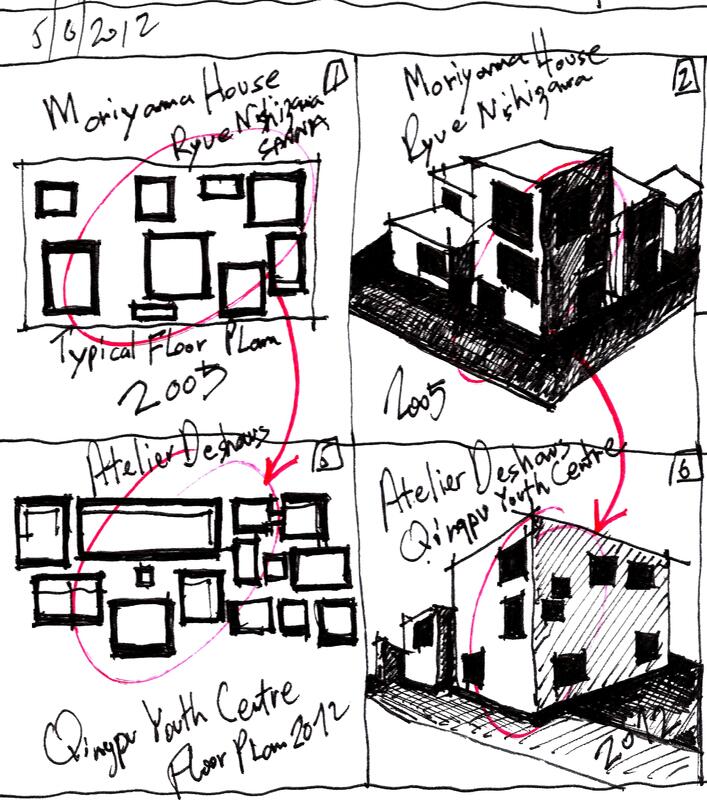 Is Moriyama’s house typical floor plan… SANAA’s Inspiration source?…. 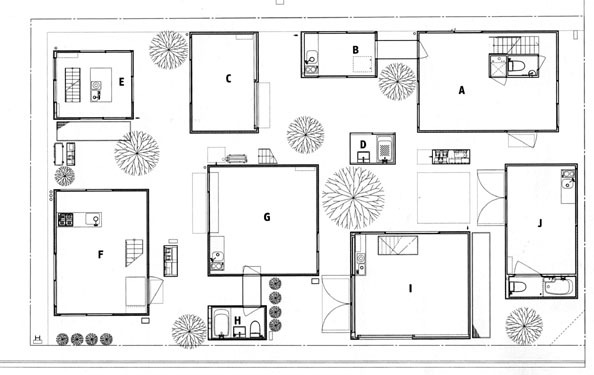 Can a floor plan inspire your façade? “You Tell I” … Can we ignore this phenomenon? In my opinion, we must develop a method of teaching and training new architects, that will cope with a new reality , characterized by the availability of information…….. I can even suggest a name for it …. the “conscious inspiration method”. I believe that designing is a process formed from three main phases:knowledge, tools and invention. “Tools”: develop tools to analyze buildings and “Understand” them,tools that will cope with the abundance of architectural information…tools that encourage your planning process….tools matching your skills and generating your creative process….